Buying and letting out your property can seem like an easy way to make a quick profit – although with the economy looking shaky, some landlords are starting to panic about whether it’s a risk worth taking. The fact is that buying a property to let out does have the potential – under the right circumstances – to give you a financial double return – you get to make an extra income from the rent you charge your tenants, and when the house starts to increase in value, you also have the capital growth. If you’re considering becoming a landlord, make sure that you get financial advice from a qualified person. 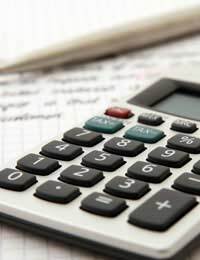 It’s not just a case of making sure that the rent you charge covers your mortgage payments – a good adviser will be able to tell you about your tax liabilities, ways to offset the cost of maintenance against your tax return, not to mention making sure that you get the best deal on a buy to let mortgage. Contrary to popular belief, there are still some good deals out there for buy to let customers, and an independent financial advisor will have access to the best deals for potential landlords. Negative equity – the pundits are divided as to whether house prices will continue to fall for the next two years, or whether the economy started to recover in early 2009. It pays to be cautious all the time the general trend is downwards. You could end up with a property on your hands that’s worth less than your mortgage, and when there is an excess of rental properties due to people not selling their own homes, the worst case scenario could be that you end up paying the mortgage with nobody to pay any rent. You need to make sure that the property is always kept well maintained because if it starts to look shabby, you’ll also have trouble letting it to tenants. You have to factor in the costs of repairs and redecorating when you’re thinking of buying to let. Tenants can afford to be fussy and if there’s a lot of competition you could end up with a liability rather than an asset. It’s easier to employ a letting agent to manage the rental of your property, but this also takes a chunk out of any potential income, so you should weight up the advantages and disadvantages before you make the decision. With buying to let and renting, there is always a risk – you could theoretically lose every penny you put in if you can’t rent, or the bottom drops out of the market leaving you owing more than the property is worth. But this applies to any investment – and even if you can’t sell the property, you’ll still own it. If you look at buying to let, taking into account any potential risks and weighing them up against what could be a healthy profit, it’s still an attractive prospect for a lot of people.